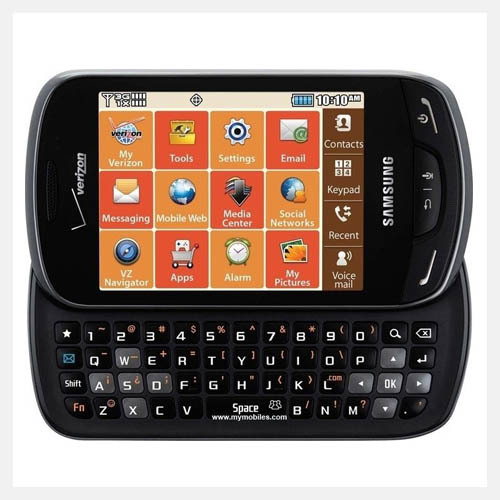 Built with a slide-out QWERTY keyboard, the Samsung Intensity II is a Samsung smartphone which enables messaging, emailing, or typing inputs, faster and easier than ever. 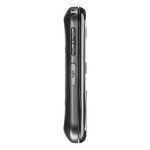 The large 2.2-inch QVGA display of this Samsung smartphone renders crisp, clear and lifelike images. You can always be active on your favorite social networking sites by updating status, photos, comments, etc. 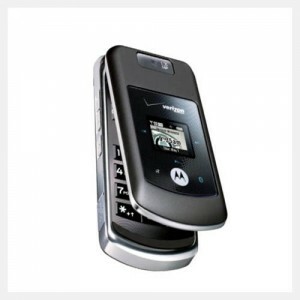 with this Samsung cell phone. Compatible with microSD card, the Samsung smartphone allows you to expand storage capacity and store your world in it. The integrated 1.3MP night vision camera of this Samsung cell phone lets you take brilliant photos not just on a bright day but also during low light conditions. Being PVC-free and Beryllium-free, the Samsung Intensity II does not make any harm to the environment after its disposal. 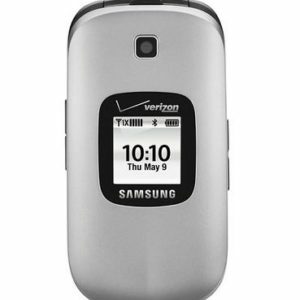 Combining green manufacturing with the mobile communications and multimedia features you desire, the Samsung Intensity II for Verizon Wireless boasts a horizontal slide-out QWERTY keyboard, a music player, one-touch access to social networking sites, and a 1.3-megapixel infrared camera with night vision. The Intensity II’s design includes an exterior battery cover made from 35 percent post-consumer materials, which is recycled plastic extracted from water bottles or other recycled polycarbonate materials. And if you’re interested in calculating your own carbon footprint, the Intensity II includes an eco-calculator to track car fuel mileage, efficiency and estimated amount of carbon dioxide emitted, along with a calendar and ringtones. The Intensity II is compatible with the V Cast Music with Rhapsody service, which enables you to purchase songs on your PC with a Rhapsody subscription and side-load them onto the phone via a USB connection. You’ll also stay on course thanks to the VZ Navigator GPS turn-by-turn direction service. 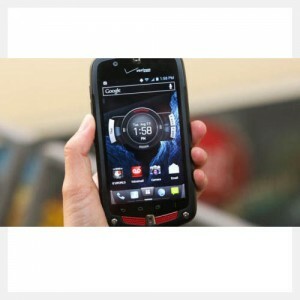 Other features include Bluetooth for hands-free devices and stereo music streaming, microSD memory expansion (using optional cards up to 32 GB), voice commands and advanced speech recognition, personal organizer tools, 1xRTT digital data connectivity, and up to 5 hours of talk time. The SAMSUNG Intensity II is a new condition device, no scratches or dents.